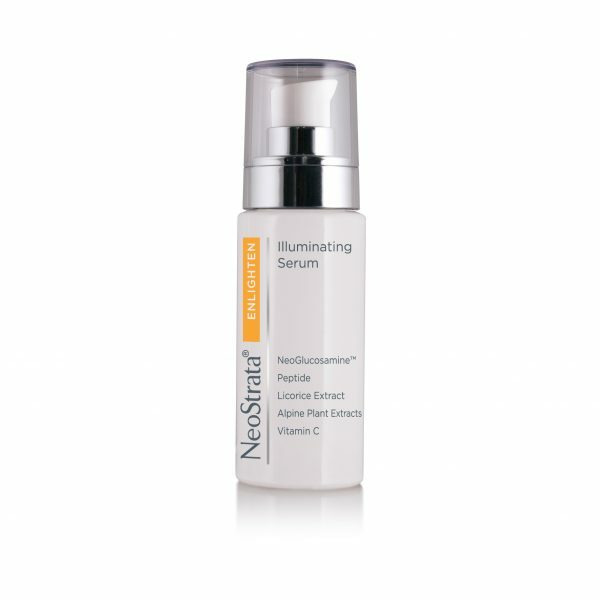 This powerful NeoStrata Enlighten Illuminating Serum is designed to illuminate and brighten skin that is affected by hyperpigmentation caused by ageing, hormonal fluctuations and UV exposure. “It’s the dirt you can’t see that ages your skin the most” – FEATURED in Marie Claire UK: Our wonderful Illuminating Serum. The latest addition to our Enlighten Range. Have you tried this product yet? 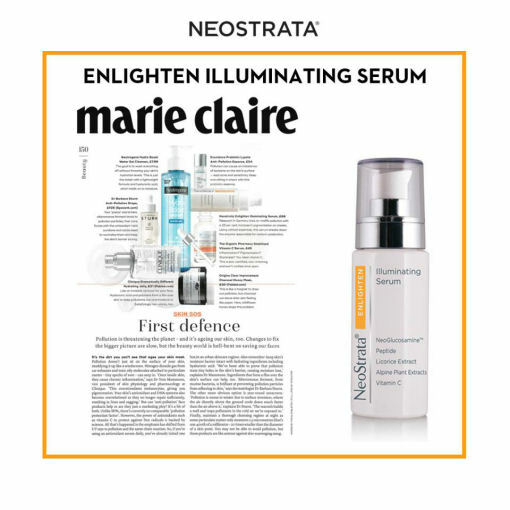 NeoStrata Enlighten Illuminating Serum is designed to illuminate and brighten skin that is affected by hyperpigmentation caused by ageing, hormonal fluctuations and UV exposure. Apply to the face and neck twice daily following cleansing and before applying other cosmetic products. Daily use of a sunscreen is recommended as part of a healthy skincare regimen. NeoGlucosamine 4%, Eucommia Ulmoides Leaf Extract 0.2%, source of chlorogenic acid, GigaWhite® 3% 7 alpine plant brighteners: Malva Sylvestris (Mallow) Extract, Mentha Piperita (peppermint) Leaf Extract, Primula Veris (Cowslip) Extract, Alchemilla Vulgaris (Lady's Mantle) Extract, Veronica Officinallis (Speedwell) Extract, Melissa Officinalis (Lemon Balm) Leaf Extract, Achillea Millefolium (Yarrow) Extract, Oligopeptide 34 (CG?TGP2) 2%, Licorice Extract, Tetrahexyldecyl ascorbate (BVOSC).